EuroSIGDOC is a ACM SIGDOC European chapter. SIGDOC is the Association for Computing Machinery’s Special Interest Group (SIG) on the Design of Communication (DOC). 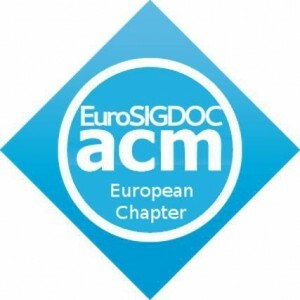 EuroSIGDOC is a group of researchers and practitioners wanting to pursue the SIGDOC mission in a European context. Like SIGDOC, EuroSIGDOC focuses on the design of communication as it is taught, practiced, researched, and conceptualized in various fields, including technical communication, software engineering, information architecture and usability.